The Original Triple Jackpot equals triple the fun! What better way to enjoy a Turbo Spiral Slide, 14ft Super Slide, 10ft double wall wave slide, than with the Original Playcenter Triple Jackpot. Offering a 5ft high playdeck, rockwall and step/rung ladders, 8ft high swing beam, and a Sky Loft for even higher heights, this system has everything you could want. 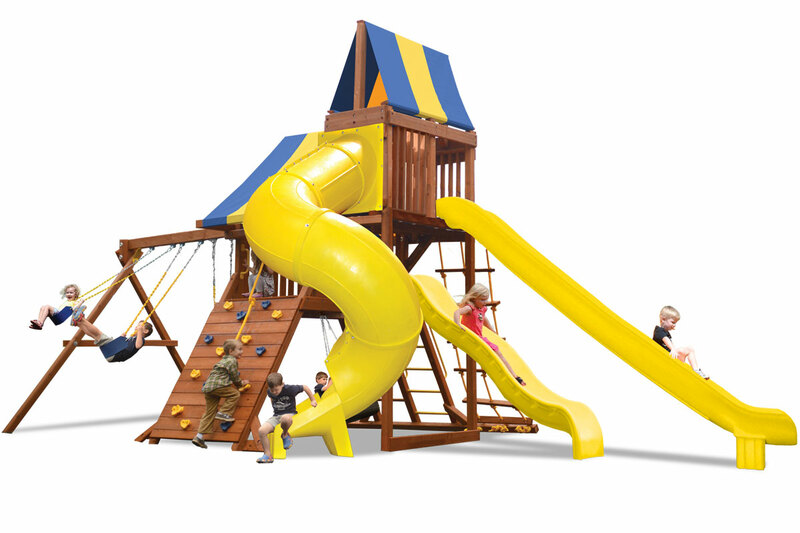 Dare to compare and find out once again why Playground One will Let Your Imagination Fly!